This time last week we posted a video abstract for Nora Stel’s new paper, “The Agnotology of Eviction in South Lebanon’s Palestinian Gatherings: How Institutional Ambiguity and Deliberate Ignorance Shape Sensitive Spaces”. In it she discusses how and with what consequences the engagements of Palestinian refugees with Lebanese authorities are marked by disinformation, uncertainty and ignorance. In her brilliant book review essay below, Nora (who holds positions at Maastricht School of Management, Utrecht University’s Center for Conflict Studies, and the Issam Fares Institute for Public Policy and International Affairs, American University of Beirut, explores related concerns in Noga Kadman’s Erased from Space and Consciousness: Israel and the Depopulated Palestinian Villages of 1948, discussing its treatment of the production, maintenance, and consequences of collective, institutionalised amnesia, and suggesting how the analysis presented in it can both benefit from and be of benefit to the nascent theory of agnotology–the study of socially-constructed and politically-imposed ignorance. Some years ago, I was doing research in the Lebanese village of Shabriha, located near Tyre in the southern part of the country. During my stay in Shabriha, I initially failed to comprehend the significance of the fact that this same village was often referred to as “Salha”. It took me quite some time to realize that Salha was the village, now located in northern Israel, where the people that today reside in Lebanese Shabriha came from. It took me even longer to appreciate that while the original village of Salha was almost completely destroyed, at the same time it continues to exist. Salha continues to exist both in space, in kibbutz Yir’on that encompasses its remains, and in time, in the hearts and minds of the residents of Shabriha. It is the history of villages such as Salha – or, rather, the erasure of and ignorance about this history – that is central to Noga Kadman’s compelling monograph Erased from Space and Consciousness. Kadman’s meticulous account of the physical destruction and subsequent socio-cultural marginalization of the Palestinian villages that were depopulated by the militias that eventually merged into the Israeli Defense Forces makes significant scientific and political contributions. It also raises broader philosophical and epistemological questions with regard to the production, maintenance, and consequences of collective, politically institutionalized amnesia. In this review essay I reflect on both. I start out with a discussion of the book and subsequently explore how the analysis presented in it can both benefit from and be of benefit to the nascent theory of agnotology – the study of socially constructed and politically imposed ignorance. Erased from Space and Consciousness investigates the fate of 418 Palestinian villages that were depopulated as a direct or indirect effect of a coordinated expulsion campaign by Jewish militias in the process of the creation of the state of Israel. Kadman not merely scrupulously documents the depopulation and destruction of these villages, but explores what has become of them afterwards. She adopts a “spatial socialization” framework, focusing on the processes through which “individuals are socialized as members of a territorially defined nationality” (p.33). This uniquely facilitates an investigation of the position of the depopulated villages in both the physical and mental landscape of contemporary Israeli institutions and communities. For her analysis, Kadman draws on official documents produced by the Government Names Committee, the Israel Land Administration/Authority, the Israel Nature and Parks Authority, the Jewish National Fund, and the Survey of Israel, as well as on private, mostly kibbutz, archives. She complements these data with her experiences as a tour guide at the village sites. While an oral history approach could arguably have augmented Kadman’s documentary and observational evidence, her material convincingly demonstrates how most of the villages in question were razed or strategically re-settled and allow her to reconstruct the processes through which their Palestinian origin was categorically concealed. The villages’ physical erasure was followed by a far more complex procedure of cognitive erasure whereby the remains of the villages were removed from official maps, documents, and histories, and/or renamed, replacing Arab names with Hebrew ones. If the villages were brought up at all in the material that Kadman discusses, this was done in a decontextualized and depoliticized sense that avoids any acknowledgement that Palestinian communities existed there within living memory and were forcefully expelled and expropriated. Kadman evocatively captures the relation between such material and social erasure, noting that the “failure to name places is tantamount to a deliberate act of disregard, which sentences these places to oblivion. Places without names do not latch onto the consciousness of people living nearby, traveling through them, or passing by them” (p.111). As Erased from Space and Consciousness should help Israelis acknowledge the past, it might help Palestinians to acknowledge the present; not to submissively accept it, but to recognize it as the only viable starting point for building a future. Exploring to what extent the increasing disregard of the “right to return” of the Palestinian refugee diaspora by the nascent Palestinian state is a corollary of the systematic erasure and denial of the origins of these refugees by Israel should be part of this reflexive exercise. If read from this perspective, the book contains many parallels with existing theories of imposed ignorance, the politics of forgetting, states of denial, and structural amnesia that merit a more explicit exploration. In the remainder of this essay, I hope to provide some handles for such deeper conceptualization by linking Kadman’s “spatial socialization” approach to the broader theory of agnotology. This makes a dual contribution. On the one hand, it underlines and extends the significance of Kadman’s claims for the field of radical geographic thought. On the other, it provides important empirical substance for the ongoing process to “develop epistemologies of ignorance” (Tuana 2008: 108). Agnotology refers to the scientific study of “agnogenesis”, the process of generating or maintaining ignorance (Christensen 2008). It is sometimes presented as an “anti-epistemology”, as by Galison (2008: 45), who proposes that whereas “epistemology asks how knowledge can be uncovered and secured”, anti-epistemology “asks how knowledge can be covered and obscured”. As such, agnotology agendizes the pervasive and fundamental influence of ignorance on human agency and sets out to understand how it “is constructed, the work it does, and the impact it has” (Smithson 2008: 209). Agnotology traces “the cultural politics of ignorance” and analyzes “why some knowledges are suppressed, lost, ignored, or abandoned, while others are embraced and come to shape our lives” (Schiebinger 2008: 152). Combining concepts like silence, absence, impotence, and uncertainty, its aim is to “explore how ignorance is produced or maintained in diverse settings, through mechanisms such as deliberate or inadvertent neglect, secrecy, and suppression, document destruction, unquestioned tradition, and myriad forms of inherent (or avoidable) culturopolitical selectivity” (Proctor and Schiebinger 2008: vii). The two central principles of agnotology are that it approaches ignorance not as an omission or gap, but rather as an active construct and, consequently, that it sees ignorance as underpinned by specific intentions and interests. These two hallmarks can help to highlight the relevance of Kadman’s work even more forcefully. In coining the notion of agnotology, Proctor (2008: 9) sees ignorance as “something that is made, maintained, and manipulated”, often an “actively engineered part of a deliberate plan”. Mayor (2008: 164) adds that silences can be produced in a manner that is “active and deliberate”. Erased from Space and Consciousness constitutes an exceptionally potent illustration of such engineered ignorance. The significance of Kadman’s book lies in the verbs she uses; the “erasing”, “replacing”, “concealing”, “ignoring”, “suppressing”, “marginalizing”, “omitting”, “silencing”, “denying”, “eschewing”, “disregarding”, and “neglecting”. The book is rife with examples of deliberately manufactured not-knowing. These range from an education system that ensures that “the landmarks of Arab existence in the landscape are not perceived as part of the land that an Israeli should ‘know’” to explanatory signs for remains of depopulated villages that were never installed (p.51, 91, 89). Just when the terror of the Nakba seems to disappear in the numbers and nigh endless descriptions, Kadman steps in to drive home that the terror of it all lies exactly in this almost casual acceptance of facts on the ground. It is precisely when this process of active forgetting takes on a natural, inevitable guise that its true power becomes evident. This fundamental paradox of Kadman’s story can be resolved through an agnotological approach that outlines how the mechanisms that produce or maintain ignorance change over time so that “once things are made unknown – by suppression or by apathy – they can often remain unknown without further effort” (Proctor 2008: 8). Agnotology not only puts a premium on agency, it also emphasizes intention, demanding specific attention for the interests that underpin particular regimes of ignorance. This agnotological focal point, too, can serve to highlight Kadman’s core contributions. Intentionality is per definition elusive in an agnotological approach: how to “prove the existence of something for which the very ability to evade detection is a key criterion for success”? (McGoey 2012b: 559). By distinguishing between two categories of not-knowing – “things we don’t know we don’t know and things we know we don’t know” (McGoey 2012b: 558-559) – agnotology can be specifically helpful to further Kadman’s argument. Her book particularly engages with the latter form: the things people know they do not know but do not want to know and the things they know but pretend not to know. Explicating this helps to link Kadman’s case-study to similar quests to uncover the production of ignorance. Kadman’s book is an exemplar of the functionality of ignorance and can be a benchmark for other agnotological studies, particularly those that are concerned with the legitimating qualities of ignorance. Smithson (2008: 223) notes that ignorance often serves to justify inaction, maintain the status quo, or evade culpability. Erased from Space and Consciousness gives a potent example of how this can work. Erasing the Palestinian villages from Israeli lands and minds, ultimately, is done to deny “any responsibility for them and for their fate” and to keep “the refugee problem” off the agenda (p.89). The Israel Nature and Parks Authority and the Jewish National Fund, in this vein, structurally convey that the responsibility for the depopulation of the villages lies with the villagers that “abandoned” them (p.137). Following the same logic, documentation produced by the kibbutzes that were built on top or in the vicinity of the depopulated villages often acknowledges a form of correlation between their presence and the original villagers’ absence, but vehemently denies causality: Jews came and Arabs left, but Arabs did not leave because Jews came (p.82). In this way, Kadman’s work can help fulfill the potential of agnotology to “provide a lens for the values at work in our knowledge practices”, as Tuana (2008: 140) phrases it. Kadman shows, better than most agnotology scholars, that “[w]hat we do not know, as much as what we do know, tracks power as it operates in social contexts both past and present” (Wylie 2008: 187-188). Kadman carefully reveals both the political nature of the erasure of the depopulated villages and its political implications. The removal of the country’s Palestinian villages from the landscape, maps, histories, and daily lives of modern Israelis often had a “quiet and gradual” or “camouflaged” character, and bore the “semblance of neutral administrative action” (p.28, 43). Yet, Kadman (p.27) shows, the state employees working on this process had no doubt about its political significance. And it is not only the underlying intentions of the erasure that are unequivocally political: the erasure’s consequences are as well. In the end, “[i]gnoring and sidelining Arabness in time and in space represents yet another Israeli victory in yet another arena of the Israeli-Palestinian conflict, made possible through the Israeli military conquest of the territory and the making of most of its Palestinian residents into refugees beyond the state’s borders” (p.4). The political implications of the agnogenesis that Kadman draws out so keenly are intimately related to another contribution she makes to agnotology, namely, its concretization. By developing a specifically spatial perspective on the production of ignorance, Kadman makes this process uniquely tangible. Agnotologists have highlighted “the historicity and artifactuality of non-knowing and the non-known” (Proctor 2008: 26-27; see also Croissant 2014:11; Smithson 2008: 210). As the opening quotation of this essay illustrates, Proctor himself, moreover, identified spatial politics as a particularly promising angle from which to further such concretization. This means, as I have noted before, that exploring the spatial manifestations of ignorance is a logical priority in the attempt to further agnotology (Stel 2016). In this sense, Kadman’s account responds to my call, in an article published in Antipode earlier this year (Stel 2016), to approach collective ignorance from a spatial perspective. Her tracing of a “disappearing geography”, “the naming and mapping of locations in contested space”, the creation of “facts on the ground”, and the “spatial practices of erasure and manufactured oblivion” inimitably demonstrates how space and politics are linked (p.xii, 35, 40). The villages are a permanent reminder of the threat of return. Their marginalization, therefore, “is meant to reject the bond that exists to this day between the refugees and their villages” and prevent any open discussion of the refugee problem (p.145). The material erasure of the villages allows Israel to present the “refugee issue” as a matter that is “devoid of specific content, as it is not substantiated by imparting knowledge and awareness of the historical and geographical moves that had created it in the past, or of the present-day state of the refugees and their families” (p.145). Kadman’s immensely detailed and thoroughly empirical spatial agnotology provides a particularly potent antidote to this project. Kadman’s gripping analysis of one of today’s most tragic forms of institutional and cultural dispossession forcefully establishes the relevance of the questions raised by agnotology: How is ignorance made and unmade? Who benefits and how? Which types of ignorance are tolerated and which will be combated? (see Proctor 2008: 3, 26). This makes Erased from Space and Consciousness a pertinent vantage point for the furthering of agnotology theory. It also gives the book an immediate political relevance, not least in questioning the role of academia and knowledge production. After all, “decisions of what kind of knowledge ‘we’ want to support are also decisions about what kinds of ignorance should remain in place” (Proctor 2008: 26). In her book, Kadman successfully defies a protracted and politically lucrative regime of ignorance, an accomplishment that is moral as much as it is scholarly. Ultimately, Erased from Space and Consciousness vindicates the liminal existence of the community of Salha that I introduced in the opening passage of this essay. It sheds new light on the irrevocable ties of this community, and the broader Palestinian refugee diaspora it represents, to a time and a place where they “knew every corner and hole of the land”. Noga Kadman, Erased from Space and Consciousness: Israel and the Depopulated Palestinian Villages of 1948, Bloomington: Indiana University Press, 2015. ISBN: 978-0-253-01670-6 (cloth); ISBN: 978-0-253-01676-8 (paper); ISBN: 978-0-253-01682-9 (ebook). The people from Salha/Shabriha eventually obtained Lebanese citizenship, a process I describe in detail in an article for the British Journal of Middle Eastern Studies (Stel 2015). Many of which are now (not always coincidentally) part of national parks. Nakba is Arabic for “catastrophe” and refers to the forced expulsion of Palestinians from their lands by Jewish militias – such as the paramilitary Haganah, Stern and Irgun groups – in the process of the establishment of the Israeli state in 1948. Community leader, Shabriha, 17 July 2014. 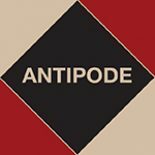 This entry was posted on 24 November 2016 by Antipode Editorial Office in Reviews and tagged agnogenesis, agnotology, Agnotology: The Making and Unmaking of Ignorance, Arab identities, censorship, cultural politics, epistemology, forgetting, ignorance, Israel, Israeli Defense Force, knowledge, Nakba, naming, Palestine, Palestinian refugees, politics of amnesia, politics of memory, representations of space, the state, unknowns, Zionism.